Bandidos biker gang sergeant-at-arms Justin Cole Forster (inset) faces up to life in federal prison after pleading guilty to racketeering, drug trafficking and extortion charges in Texas. Prosecutors say a national leader of the Bandidos biker gang faces up to life in federal prison after pleading guilty to racketeering, drug trafficking and extortion charges in Texas. 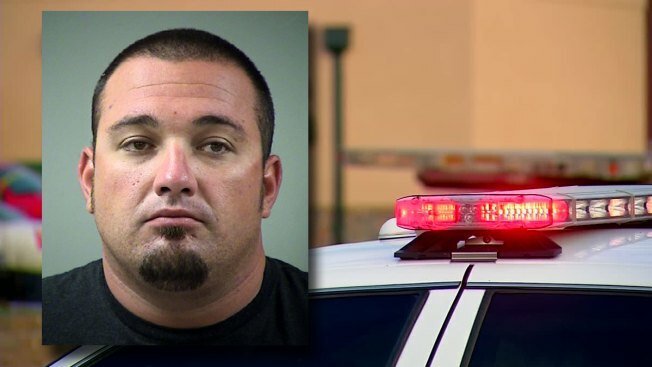 Sergeant-at-arms Justin Cole Forster remains in custody pending sentencing next year in San Antonio. A May 2015 gunfight during a meeting of biker groups in Waco left nine people dead and led to more than 170 arrests. Prosecutors in January announced Forster was among several Bandidos leaders indicted and accused of deadly violence against a rival gang since 2013.